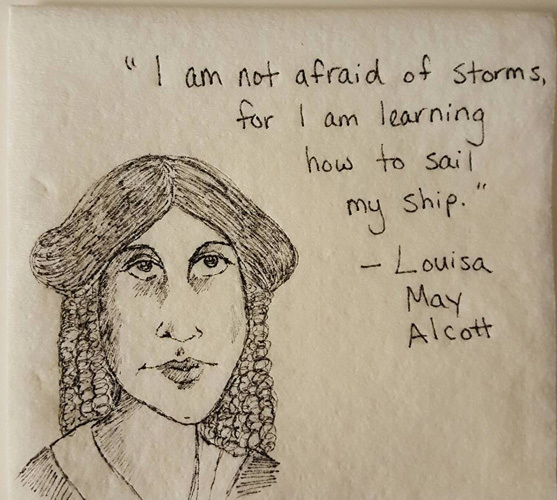 Every day, this mom draws a famous woman from history alongside an inspiring quote for her daughter's lunch - all on a napkin. If your kids love learning about inspiring women from history, you can find hundreds of books for both children and teens about real-life girls women who changed the world in our Role Models collection. 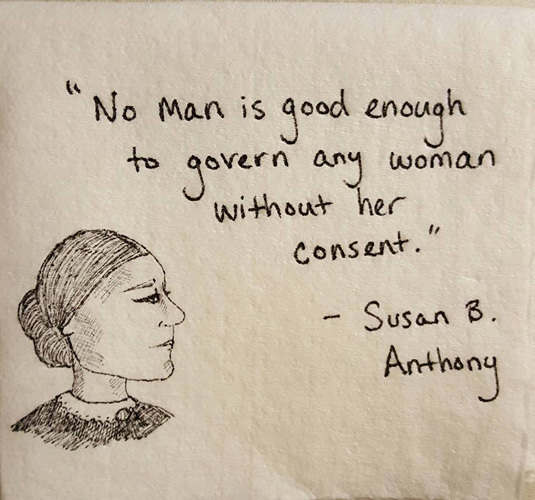 Susan B. Anthony fought for women's suffrage for over fifty years as one of the most prominent and outspoken leaders of the U.S. Women's Suffrage Movement. For books, films and other resources about this women's right pioneer, visit our Susan B. Anthony Collection. 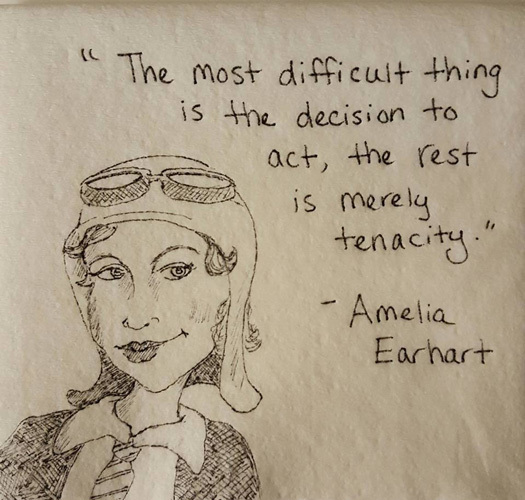 Amelia Earhart was an American aviation pioneer and the first female aviator to complete a solo trans-Atlantic flight, as well as an advocate for women’s political rights. For more resources about this daring adventurer, visit our Amelia Earhart Collection. Michelle Obama is a lawyer, author, and the first African-American First Lady of the United States. Tweens and teens can learn more this trailblazer in Who Is Michelle Obama? for ages 8 to 12 and Michelle Obama: An American Story for ages 9 to 13. Malala Yousafzai is a Pakistani girls’ education activist and the youngest Nobel Prize winner in history. She survived an assassination attempt by the Taliban in 2012 and remains a powerful advocate for education for all children. 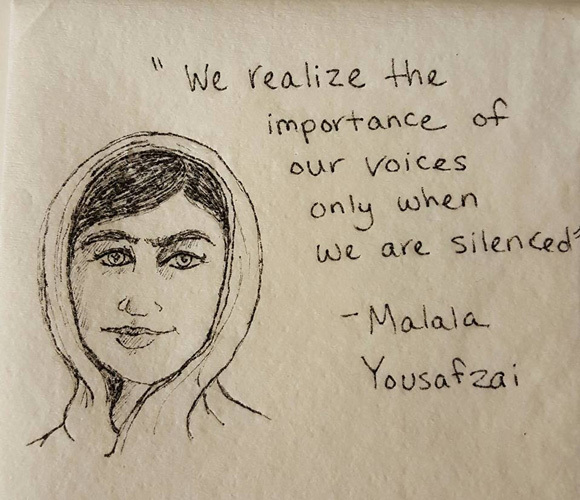 You can find books for young readers about Malala in our Malala Yousafzai Collection. Louisa May Alcott is an American author who drew on her experiences as a nurse in the Civil War when writing her books. Her most famous book, Little Women, remains a much-beloved classic. Kids can learn more about Alcott and her book in our Little Women Collection. 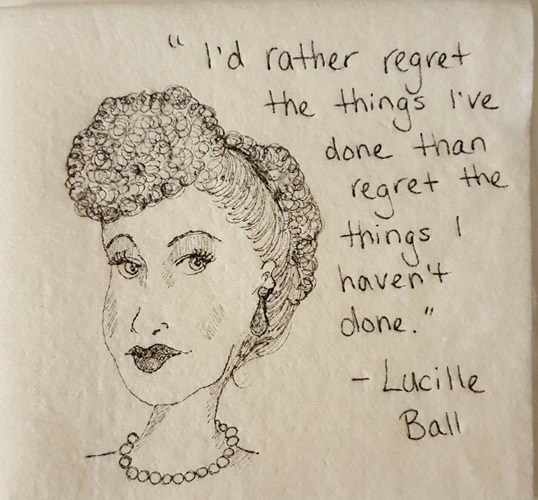 Lucille Ball was a groundbreaking comedian, the star of I Love Lucy. She also became the first woman to run a major television studio, Desilu, which produced groundbreaking shows like Mission: Impossible and Star Trek. Young Mighty Girls can learn more about this pioneer in the books I Am Lucille Ball for ages 4 to 8 and Who Was Lucille Ball? for ages 8 to 12. Hillary Clinton has served as a U.S. Senator and the U.S. Secretary of State. She was also the first female presidential candidate of a major political party in U.S. history. 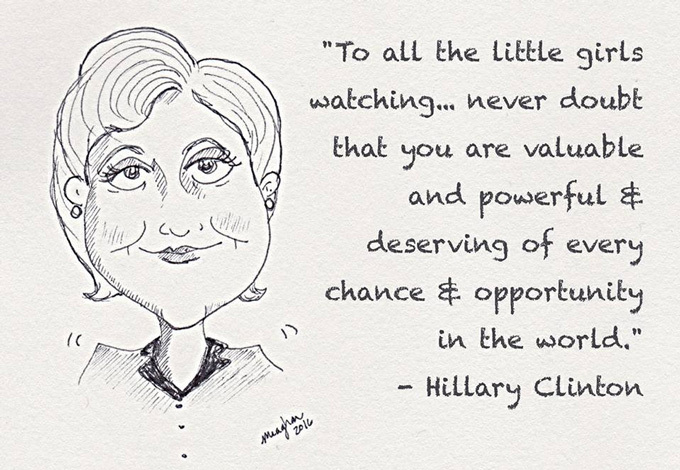 To introduce children to this trailblazer, check out Hillary Rodham Clinton: Some Girls Are Born To Lead for ages 5 to 9, Hillary for ages 5 to 9, Hillary Rodham Clinton: Dreams Taking Flight for ages 5 to 9, Hillary Clinton: American Woman of the World for ages 9 to 12, and Hillary Rodham Clinton: A Woman Living History for ages 13 and up. 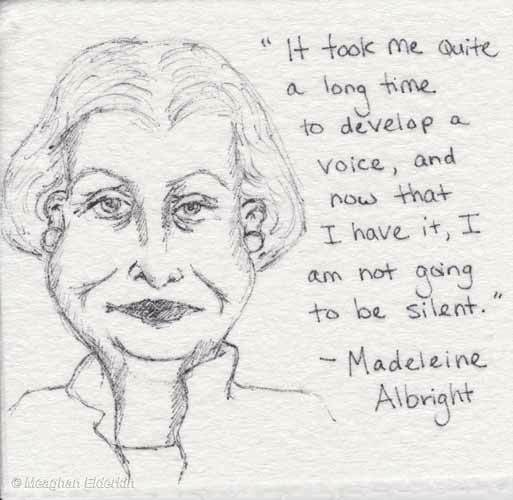 Madeleine Albright is an American diplomat and politician who was the first woman to ever serve as U.S. Secretary of State. 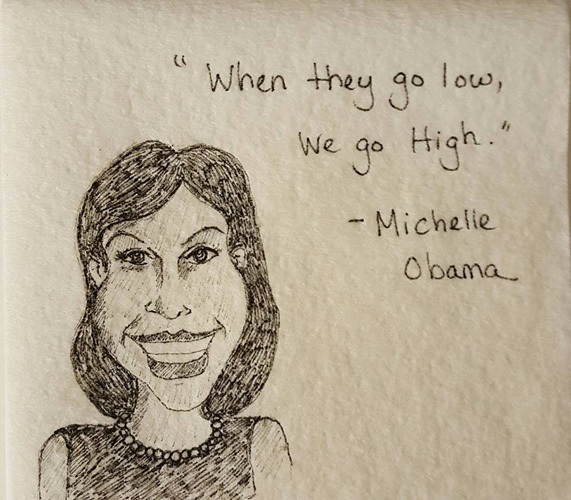 She is one of dozens of women who shared their best advice to their daughters in the insightful book, What I Told My Daughter: Lessons from Leaders on Raising the Next Generation of Empowered Women. 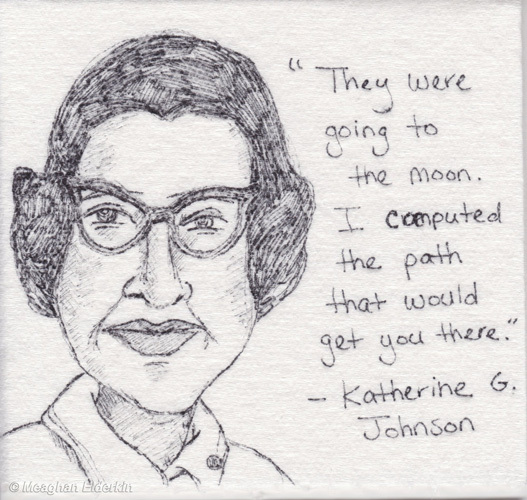 Katherine G. Johnson is an American physicist and mathematician who was a groundbreaking member of the American space program. As one of the few African-American women in the space program, Johnson was integral in the progress of the space program for decades, working on missions ranging from Project Mercury to the space shuttle. To introduce kids to this pioneer, there is an early chapter book Katherine Johnson for ages 6 to 8. Teens and adults interested in learning more about Johnson can check out Hidden Figures: The American Dream and the Untold Story of the Black Women Mathematicians who Helped Win the Space Race; young readers can check out the Hidden Figures Young Readers' Edition for ages 8 to 12. The movie, Hidden Figures, based on this book, is also recommended for ages 9 and up. Sally Ride became the first American women in space in 1983. 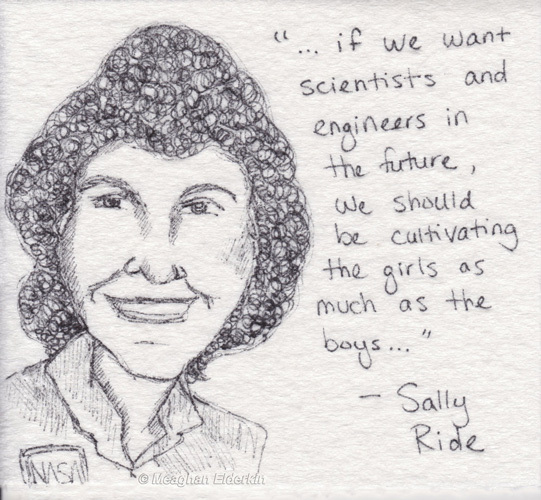 She went on to make many contributions to the US space program and to advocate for girls in science. After her death, it was also revealed that Tam O'Shaughnessy, her lifelong friend, was actually her partner, making Ride the first known LGBTQ astronaut. You can find more resources about this pioneering astronaut in our Sally Ride Collection. 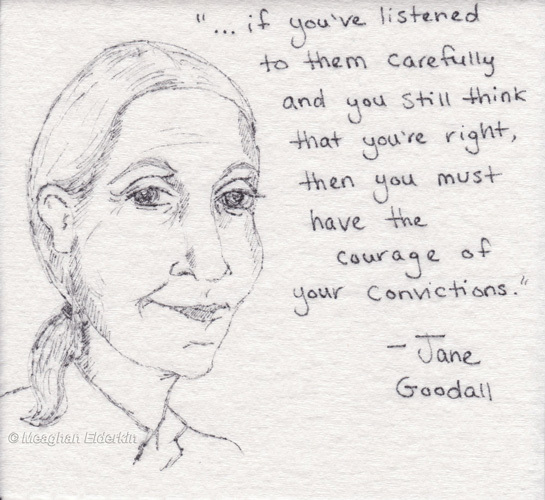 Jane Goodall is a British primatologist whose unprecedented work studying chimpanzees in the field changed our understanding of what it means to be human. She is also the founder of the Jane Goodall Institute, which is dedicated to conservation efforts around the globe. You can find many books and films about this famous role model in our Jane Goodall Collection. 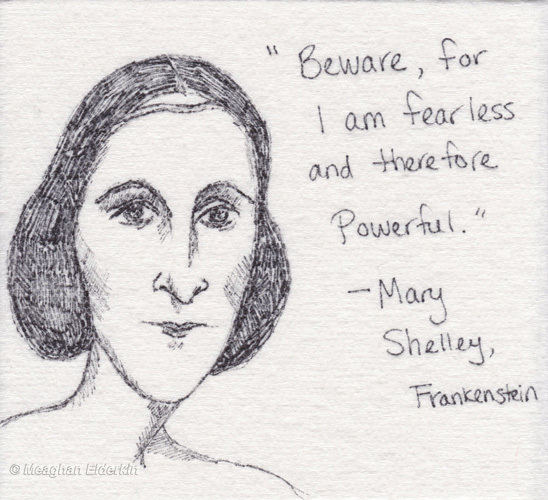 Mary Shelley is best known as the author of Frankenstein: or, The Modern Prometheus. The daughter of a prominent women's rights pioneer, philosopher Mary Wollstonecraft, Shelley’s writings also have a distinctive feminist bent. Tweens can read more about Shelley in Through The Tempests Dark and Wild for ages 8 to 12. 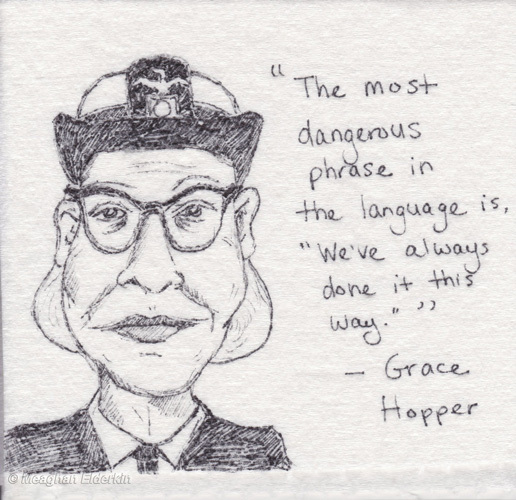 Grace Hopper was a computing pioneer and the inventor of the compiler, which allowed people to "talk" to computers by using text-based commands. 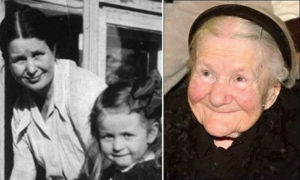 "Amazing Grace" was also renowned as a dedicated teacher who inspired many women in computer science. Kids can learn more about Hopper in Grace Hopper: Queen of Computer Code for ages 5 to 9, Girls Think of Everything for ages 8 and up, Technology: Cool Women Who Code for ages 9 to 13, and Women in Science: 50 Fearless Pioneers for ages 9 and up. Hedy Lamarr is known to most as a glamorous movie star of the black and white era, but she was also a talented mathematician. During World War II, Lamarr co-invented spread spectrum technology, a concept that is the basis for modern technologies like GPS, Wi-Fi, and Bluetooth. 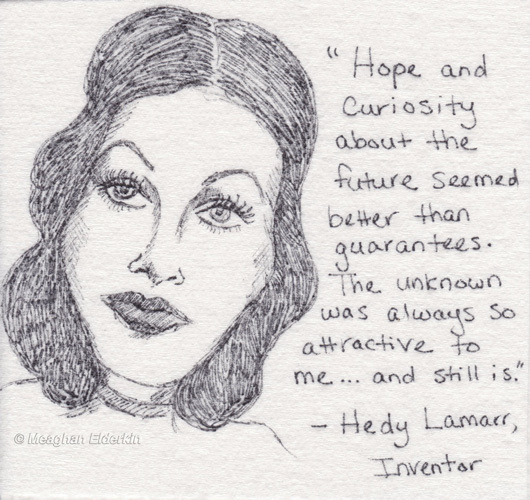 Young readers can learn more about Lamarr in Hedy Lamarr and a Secret Communications System for ages 8 to 11 and Headstrong: 52 Women Who Changed Science – And The World for ages 12 and up. For books for children and teens about real-life inspiring women, visit our Biography Collection. For books about women's contributions to history, visit our US History and World History collections.